Lego Star Wars: The Force Awakens enjoyed its four straight week at number one on the UK charts last week in spite of dropping 39 percent of its sales compared to the week before. No new releases, meant that it was a very slow week on the retail charts with FIFA 16 moving into second place and Monster Hunter Generations dropping from third to ninth. While slipping from second to sixth in the all formats chart, Uncharted 4: A Thief’s End remains the best-selling single SKU. 1. 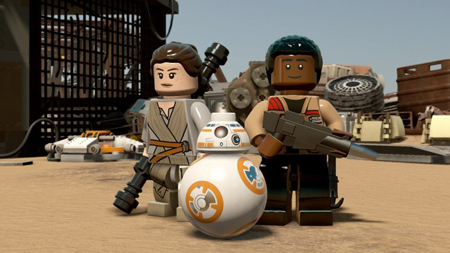 Lego Star Wars: The Force Awakens / Warner Bros. This entry was posted on Monday, July 25th, 2016 at 1:04 pm and is filed under Gaming News. You can follow any responses to this entry through the RSS 2.0 feed. Both comments and pings are currently closed.